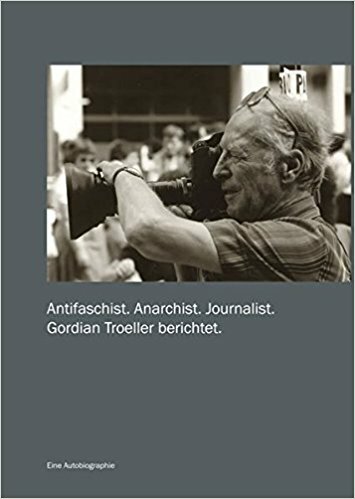 Since the early 1950s, Gordian Troeller (1917-2003), from Luxemburg, and the French Marie-Claude Deffarge (1924-1984) made up a journalistic team. The demise of European colonial power was their main focus of attention which they observed and commented on in writing and through photographical evidence. They analyzed the structures that grew out of colonial hegemony and which led to the so-called “underdevelopment of the third world”- first in Iran and the Middle East and later on in Africa and Latin America, too. From 1959 on they worked for the German magazine “Stern” and their socio-politically engaged coverage from abroad replete with elaborate photo works set new standards in German journalism. Thus, a 25-part series in “Stern” about the position of women in different cultures caught the attention of the general public in 1964 – long before the onset of the “sexual revolution” of the 1970s. The focus on developmental themes was strengthened during the 1970s through a close cooperation with the French economist François Partant and the German educator Ingrid Becker-Ross. In over 80 documentary movies for television, they displayed for a general public how those predominant aspects in developmental politics – namely belief in progress and the western ethno-centrism – will lead inevitably to material poverty, cultural disruption and social disintegration in the Third World. In their films they denounced the modern capitalist structures which will lead to unforeseen risks for both due to the close interlinkage of the First with the Third World. In the Name of Progress, Women of the World, Children of the World. This corpus of films has been awarded with prizes on several occasions. The reports and documentary films of Troeller/Deffarge are still topical in many respects. It was only in the current century, under the impression of failed states, ethnic upheaval, wars and refugee streams as well as the global effects of climate change, ecological destruction, financial crises and lastly the spread of terror in industrial countries, that a new consciousness arose in Europe of the dangers that are an outcome of the path taken. All of the preserved films are digitalized and may be obtained from this site. The archive of photographs that grew out of the work with “Stern” and later film documentations will be handed over to the Folkwang Museum in Essen.